Milonga Lunes @ Dance Concept 31st August! 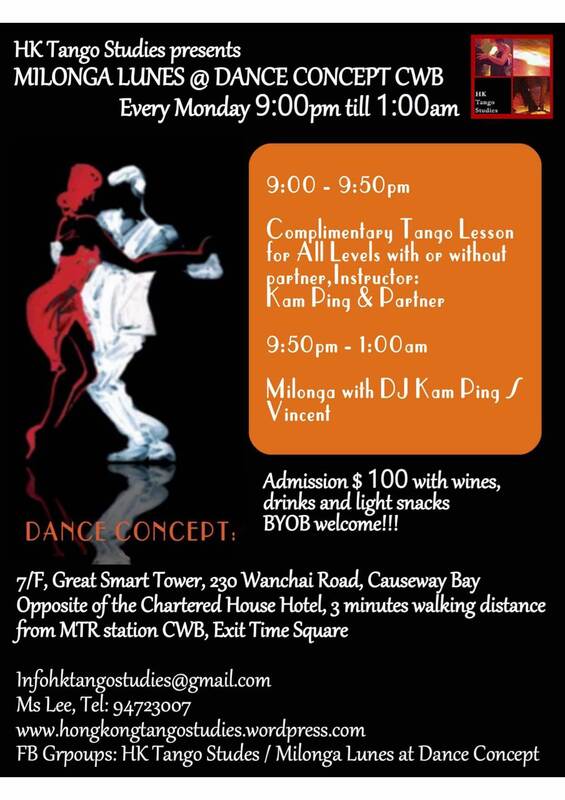 Monday, 31st August, you are cordially invited to Milonga Lunes at Dance Concept to bid farewell to Izuru Nakamura who will return to Japan after one year’s staying in Hong Kong & dancing in our Milongas… please come, Hong Kong Tangeuros & Tangeuras and show your hospitality!! !